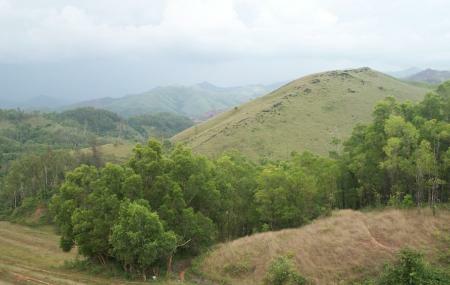 Kundremukh, which literally means horse shape, derives its name from the unique horse shape pattern discernible in the side view of the mountain. Kundremukh National Park is one of the largest sanctuaries with an area of 600.32 square kilometers and hails from the family of wet evergreen forests. The place promises exquisite natural beauty, wildlife diversity and thrilling adventure for the tourists. Also, visit the popular attractions in the city by following Chikmagalur itinerary 2 days. Pets are not allowed inside Kudremukh National Park. Best time to visit the park is between October and May. Opening hours of Kudremukh National Park: 6am – 6pm. People normally club together Annapurneshwari Temple and Gangamoola Hill while planning their visit to Kudremukh.